​Are You Organizing Your Own Catholic Wedding? Attending a Wedding? ​The ushering in of the summer solstice comes with the telltale sights and sounds of the warm-weather season. In addition to picnics, barbecues and vacation getaways, the summer is a popular season for Catholic weddings. ​As one of the seven sacraments in the Catholic Church, marriage is more than a legal contract; according to the Catechism of the Catholic Church, “The sacrament of matrimony signifies the union of Christ and the Church. It gives spouses the grace to love each other with the love with which Christ has loved his Church.” A marriage is sealed and strengthened by God’s love and is rooted in the divine plan of creation — the procreation and education of children in the faith. Can I get married outdoors? ​Let’s take a closer look at some of the FAQs about getting married in the Catholic Church. If you know a Catholic getting married soon, share this with them. 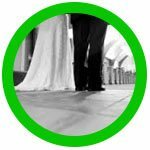 ​How Can I Make My Ceremony Personal? ​One of the goals of engaged couples is to plan a wedding that reflects their unique tastes as a couple. While you have plenty of freedom to personalize your wedding when it comes to the reception, the actual religious ceremony comes with more stringent limitations. ​Why Do Catholic Wedding Ceremonies Come With More Stringent Limitations? ​Marriages play a crucial role in society. By publicly joining hands in marriage, husband and wife enter into a unique communion and sharing of their whole lives that not only joins their distinct families into one, fostering greater connections between people, but also provides the essential context for welcoming new human life.” The ceremony is therefore, not a private one, but a public one, so there’s a limit to how much you can personalize. You do have some input, however. The priest will work with you and point out parts of the ceremony where you have choices such as the readings, music, and cultural customs. It’s also best to be married by a priest who knows you and your families, so he can make the ceremony more personal, especially when speaking during the homily. More than just a beautiful building, as Catholics, we recognize that the church is where God is truly present — it’s “the house of God.” God is physically present in the sacred space of the Blessed Sacrament in the tabernacle. Since marriage is a holy sacrament and a promise made to God and before God, it’s required that a marriage take place inside a Catholic Church. Can ​We Write Our Own Vows? ​The Church doesn’t allow couples to write their own wedding vows. The reason? The vows are the heart of the Rite of Marriage. The Catechism of the Catholic Church explains, “The Church holds the exchange of consent (vows) between the spouses to be the indispensable element that "makes the marriage." If consent is lacking there is no marriage. There are several versions of the vows (written by the Church) that a couple can choose to say to one another. 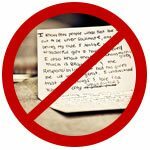 Can ​We ​Choose Our Own Readings and Music? ​When it comes to the first, second, and Gospel readings, the Church has a select group of Scripture readings that they use; these readings specifically proclaim the Church’s faith about marriage, and are therefore the appropriate ones to use. The priest or deacon gives the couple the list of choices and allows them to choose the ones that resonate with them the most. 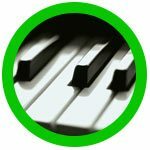 When it comes to music, as previously mentioned, the marriage ceremony is a sacred one, and the liturgical music (as well as everything else) should reflect the sacredness of the occasion. If the couple has a special song or music they’d like to use, they should speak to the priest who will be marrying them to make sure the music is appropriate. ​Many couples are surprised to learn that they have options when it comes to organizing the procession into the church. Since the bride and groom are both freely and equally entering the marriage, if they choose, they can walk in together, or meet halfway and proceed down the aisle side-by-side. It all comes down to personal preference. ​How Can I Involve Family and Friends? ​One way to involve family and friends in your religious ceremony is to have them read the prayer of the faithful and the readings. The bride and groom can come up with their special petitions to be read during the prayer of the faithful. Family members can also present the gifts to the altar, and of course, be part of the wedding party (groomsmen, bridesmaids, ring bearer, etc.). 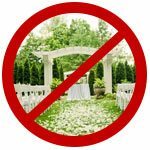 Contrary to popular belief, bridal attendants and family and friends taking part in the celebration do not have to be Catholic. They just won’t be able to receive the Eucharist. Can I incorporate cultural customs such as the rosary lasso? It depends. As long as the custom isn’t too distracting and is religious-based, it may be allowed. Check with your priest to discuss possible ways to incorporate the custom into your ceremony. ​To help a married couple remember their spiritual union and journey ahead, consider incorporating a religious-themed item as part of their gift. Anything from statues and wall plaques to home décor and a personalized bible make meaningful and unique wedding gifts. If you’d like to thank your guests for taking part in your special day with a small token, consider passing out religious-themed party favors. Prayer cards, small rosaries, or key rings take up little space and are favors your guests can actually use. 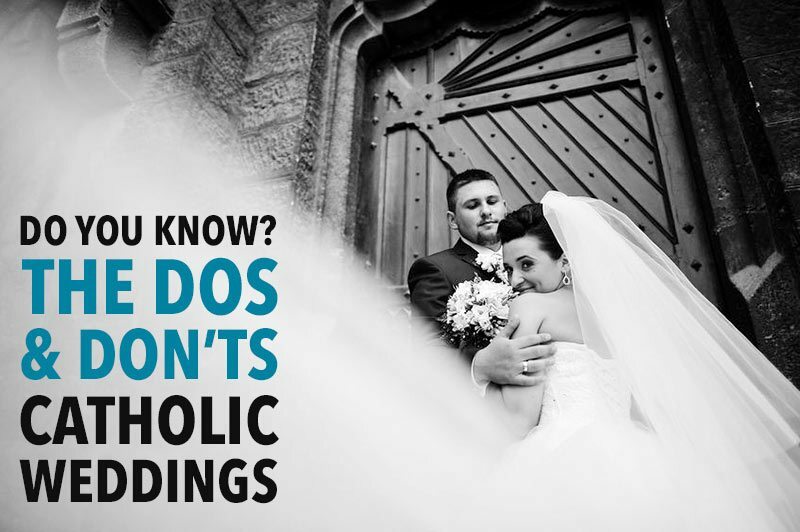 Don't forget to share these Dos And Don'ts for Catholic Weddings with those getting married!